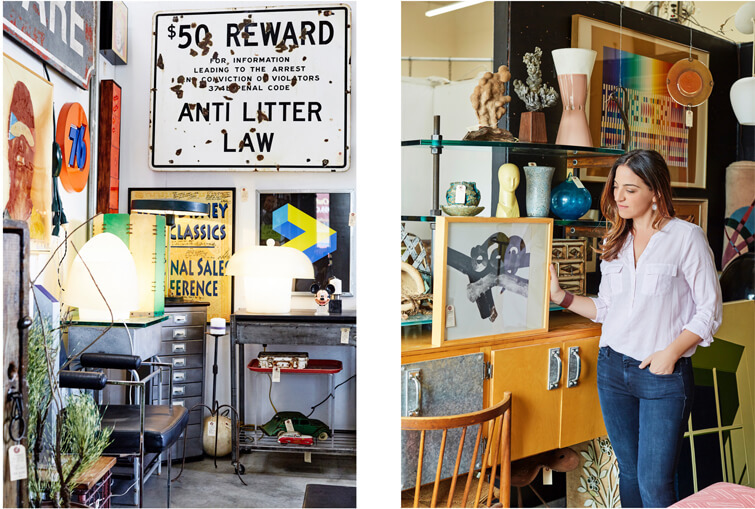 One of my favorite places in Los Angeles to shop for diamond-in-the-rough pieces is The Mart Collective in Venice on busy Lincoln Boulevard. I lived in Venice several years ago and boy has it changed from those days. Abbott Kinney is the heart of the hip and upcoming restaurants and stores, but now even this strip of Lincoln Boulevard, which used to simply be a thoroughfare in and out of Venice, is bustling with great shops and places to eat. Directly across the street from The Mart are The General Store and Fire and Creme, an adorable (but pricey) party supply store. You can grab a yummy bite at Superba Food + Bread within walking distance or you can hop into your car and drive just a few minutes to eat at any number of restaurants on Abbott Kinney. Some of my favorites are The Butchers Daughter for delicious vegetarian fare in a quintessentially laid-back and bohemian interior, Gjelina, and take-out from Erewhon Market or Gjusta. 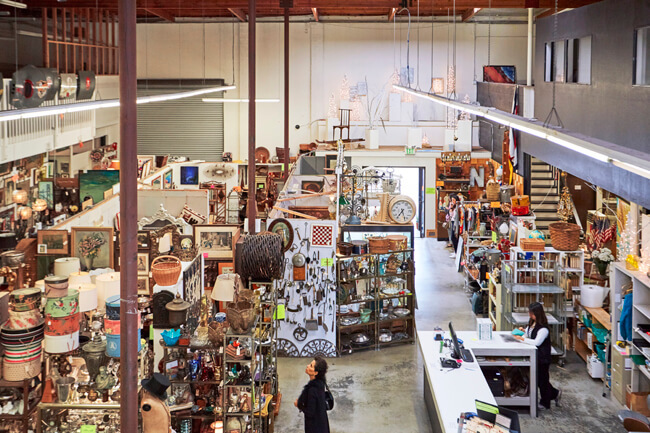 The Mart Collective relocated from Santa Monica to its current location in a former fabric store in 2013. I’ve been shopping here for years and almost always leave with a gem or two. It’s an expansive (16,000 square feet!) 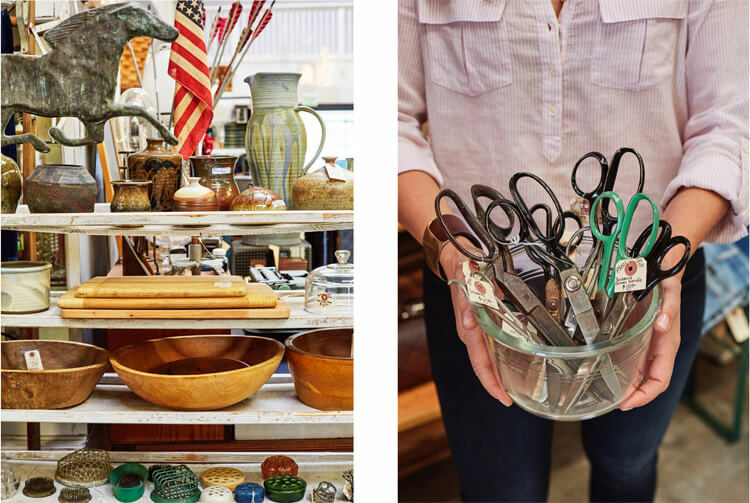 space that houses more than 85 antique and vintage dealers and it’s best to visit when time is on your side so you can really sift through everything. You never know what you’re going to find here – on my last visit I found some great kilims, paintings and a Yaakov Agam silkscreen nestled among some modern lighting. I know some people are overwhelmed when they enter a store filled with so much stuff, but I just love hunting for one-of-a-kind pieces of furniture and accessories. These are the items that really make a house a home. Each vendor is responsible for curating their own “stall” so there’s a wide variety of merchandise and styles. 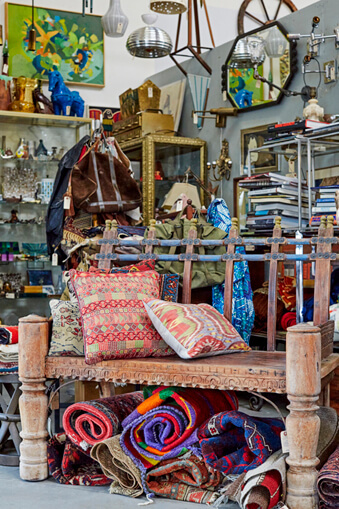 Inventory rotates regularly and I make a point of visiting when I need to style a coffee table or shelves or need the perfect rug or ethnic pillows. They also have a ton of original artwork that would is perfect for creating a gallery wall.